Vanilla scented candle in a glass. 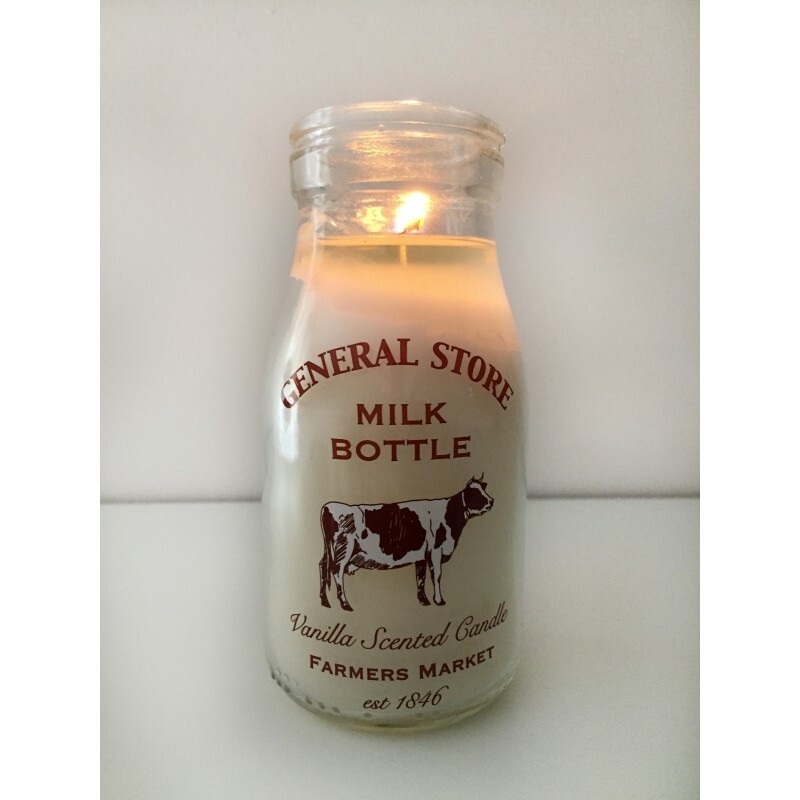 A candle that really does look like a small vintage school milk bottle from farmers market. 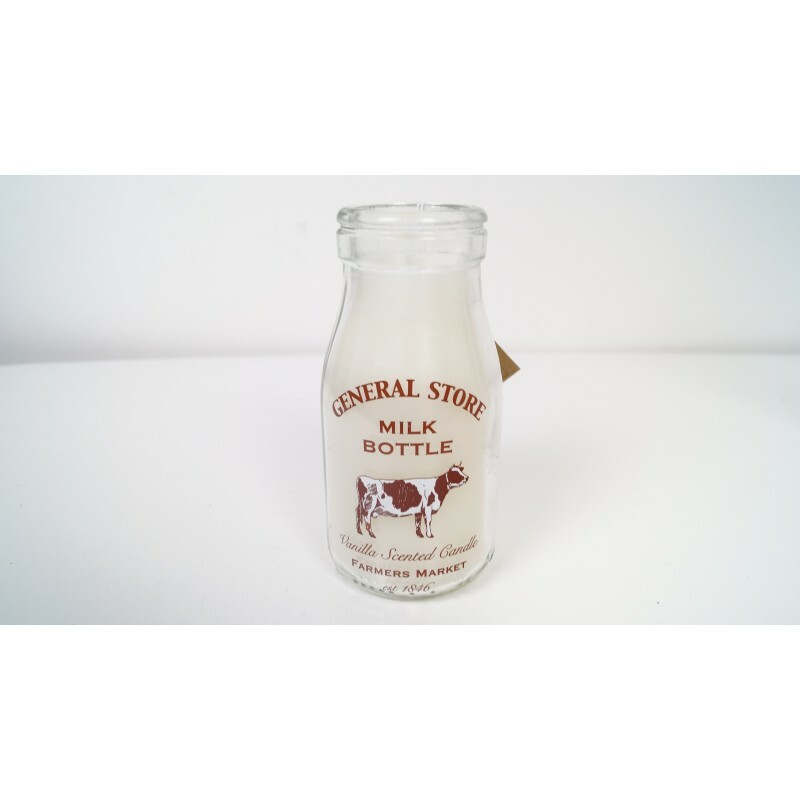 A great vintage style decorative accessory which would suit any home.